As another example of scientists not understanding the computer technology they are using, NASA's Land Processes Distributed Active Archive Center and the USGS (U.S. Geological Survey) Earth Resources Observation and Science Center are apparently ignorant of elementary knowledge about Microsoft Windows operating systems. In their User Manual for their MODIS Reprojection Tool Swath they confuse Windows ME (Millennium) with Windows 2000. Windows NT/ME/XP users must edit their user keys to add the MRTSwath PATH, MRTSWATH_HOME, and MRTSWATH_DATA_DIR to the system variables. Windows ME and Windows 2000 are two very different operating systems built off different code bases and confusing them like this is a sign of an amateur programmer who was never professionally trained. 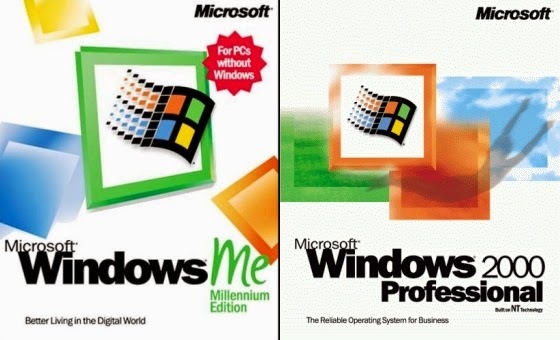 Windows ME (Millennium) was the last of the Windows 9x line of operating systems following Windows 98. While Windows 2000 is an NT-based operating system originally called Windows NT 5.0. These are not just typos in their documentation but are actually errors in their installation file (install.bat) included in their MRT Tool Swath archive file (MRTSwath_download_Win.zip). REM Modify the user's AUTOEXEC.BAT file. echo Updating C:\AUTOEXEC.BAT (old version saved as AUTOEXEC.MRTSWATH). Passing these requirements will help ensure that your application runs in a stable, reliable manner on Windows operating systems. Customers can be confident that a compliant product will not adversely affect the reliability of the operating system. To properly set the Path in Windows 2000 you do so using the Desktop GUI or the registry. Hacks who were never professionally trained in computer science like Mr. Mosher do not know these very basic things and instead ignorantly spread this misinformation. Any competent and professionally trained programmer would have noticed this elementary error. The problem is most of the people creating and using these scientific data tools have no formal computer science training and do not know how bad they really are. This was confirmed in an article in the journal Nature. [A]s computers and programming tools have grown more complex, scientists have hit a "steep learning curve", says James Hack, director of the US National Center for Computational Sciences at Oak Ridge National Laboratory in Tennessee. "The level of effort and skills needed to keep up aren't in the wheelhouse of the average scientist." "There are terrifying statistics showing that almost all of what scientists know about coding is self-taught," says Wilson. "They just don't know how bad they are." As a result, codes may be riddled with tiny errors that do not cause the program to break down, but may drastically change the scientific results that it spits out. The lack of basic computer science knowledge like this is so prevalent in the scientific community that this misinformation apparently made it into a scientific publication. Addendum: Despite being updated in December of 2010, the MRT Tool Swath User Manual fails to mention that no one should be using Windows NT (Support ended in 2004), Windows Millennium (Support ended in 2006) or Windows 2000 (Support ended in July of 2010) since they are all obsolete operating systems that do not receive support or security updates from Microsoft anymore.